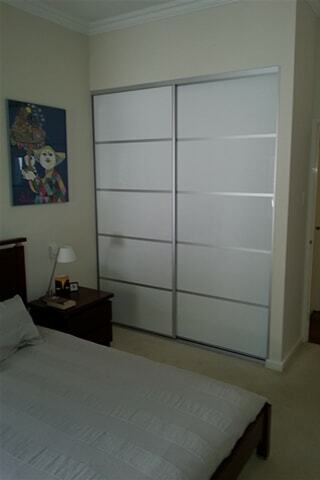 Are you living in Perth and looking for Premium Sliding Wardrobe Doors? 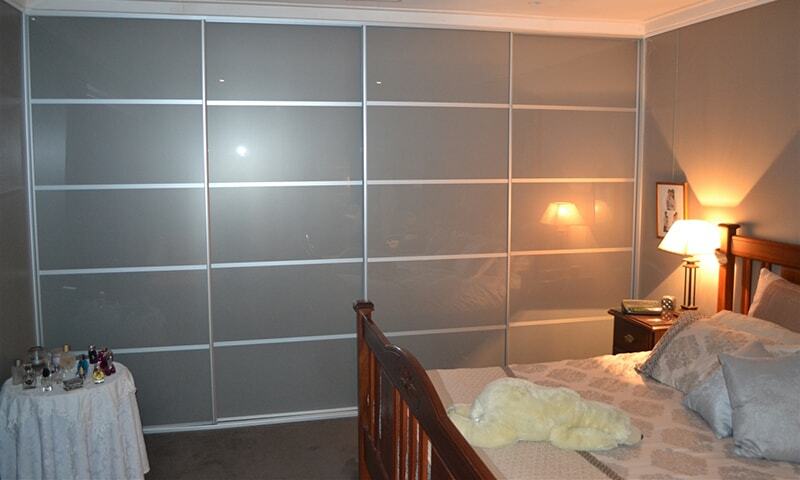 Please note: all of the images below are of sliding doors we have designed and installed. These photos are taken by our installers, they may not be the best photographers but these images are genuine examples of our work.. As opposed to some of our competitors web sites who use stolen images from overseas web sites. 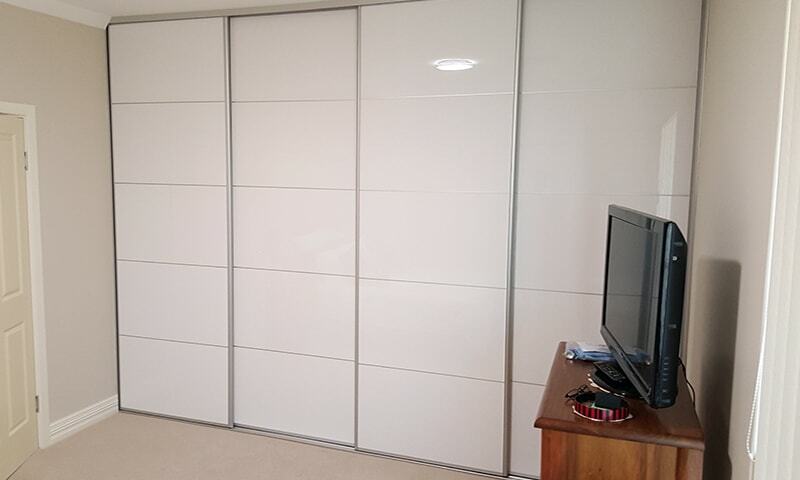 Displayed above are a Three Door Continental Sliding Wardrobe Door System. 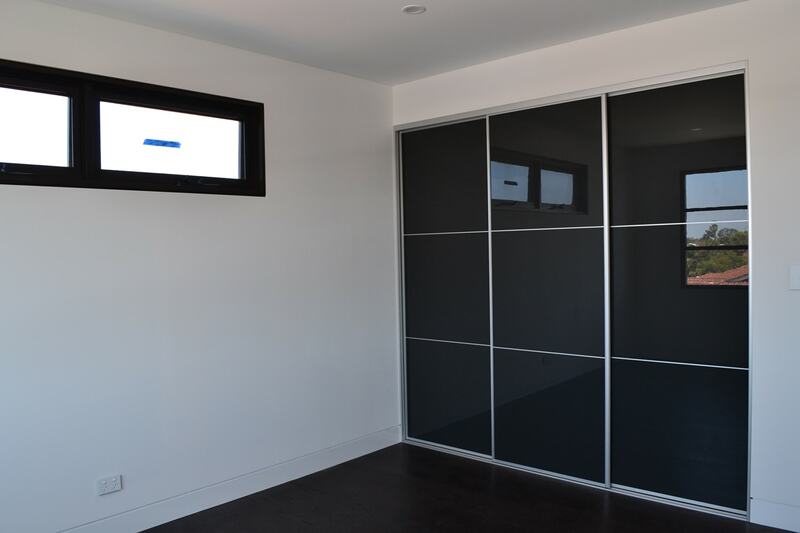 Custom Made Four Door Wardrobe System: End of Room Renovation. 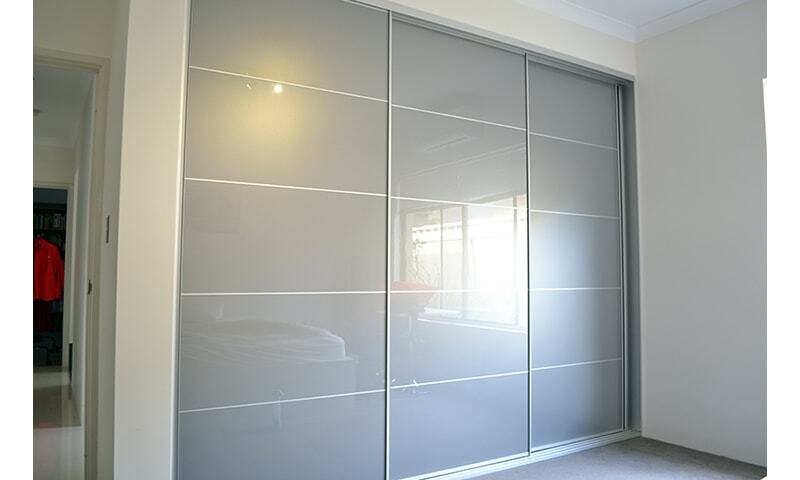 Simply the Best Wardrobe Doors in Perth. Custom Made Two Door System: black surrounds with white panels. Custom Made to Match the Kitchen. 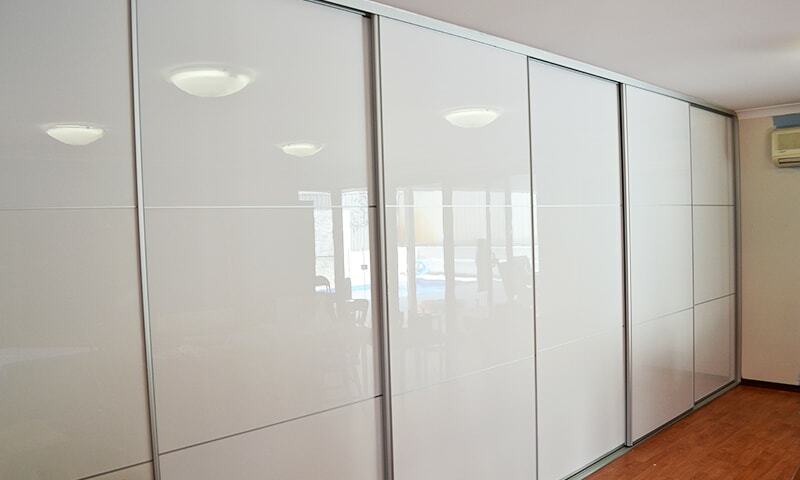 View your options for Quality Premium Sliding Wardrobe Doors. 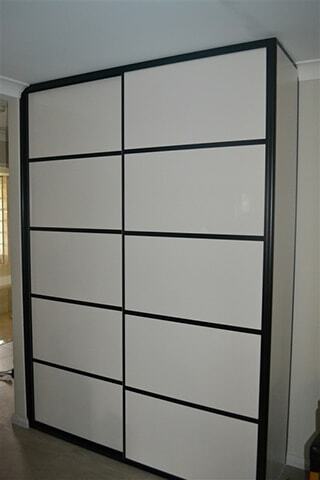 Our Sliding Wardrobe Doors Come in a number of striking designs! 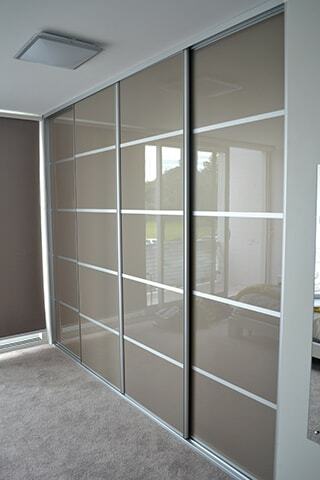 Our Premium Sliding Wardrobe Doors Come in a number of designer colours! Check them out here. 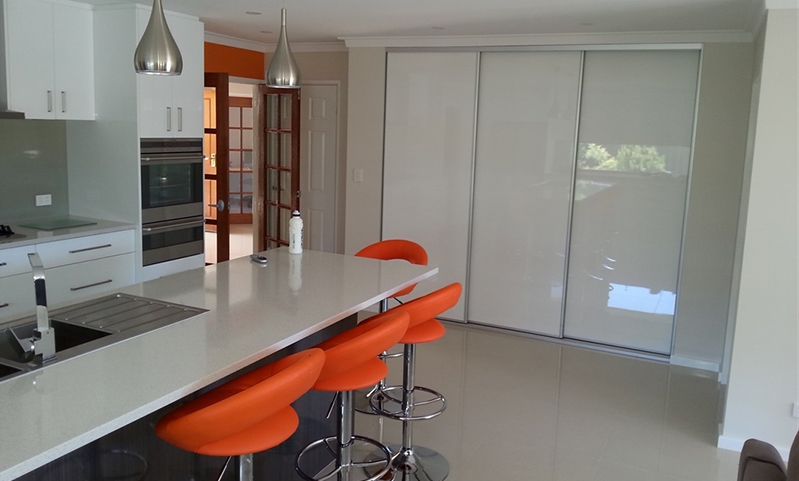 Our Sliding Doors are manufactured from Australian Made Aluminium Guaranteed for 10 Years. 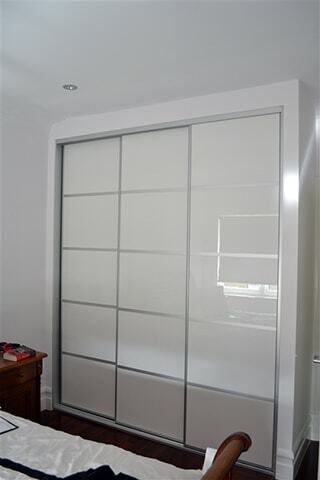 All our premium Sliding Doors have the choice of our exclusive Super Slim Panel Divider for a modern stylish look or our standard Panel Divider. 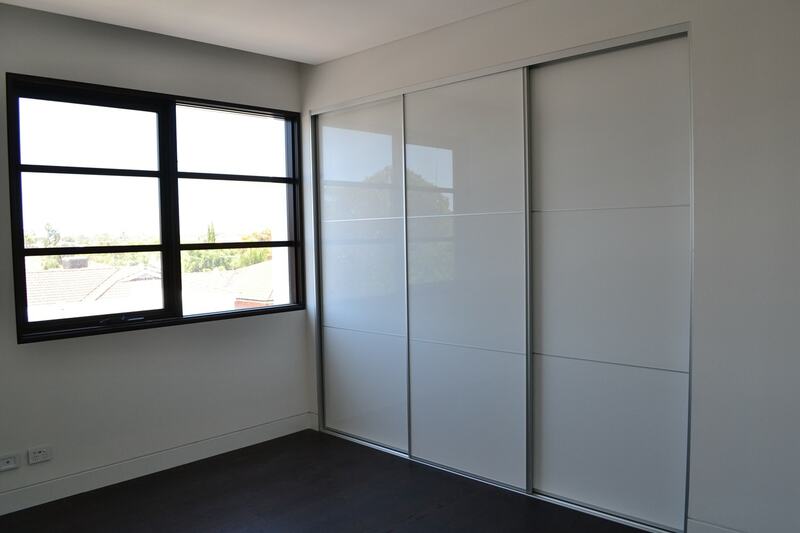 We only use Australian Made, high quality, Top and Bottom Wheels on every door for a very smooth sliding door operation. This will ensure years of trouble free use. 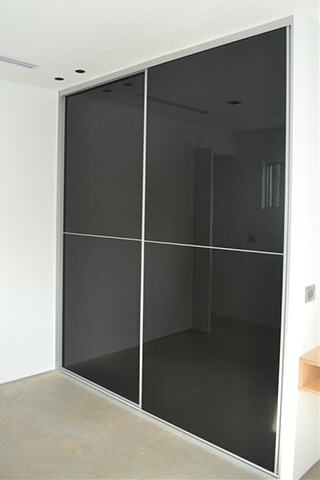 Our Premium Sliding Wardrobe Doors are made from High Gloss Acrylic - Great true depth Colours with Metallic Finishes. Our products offer the ultimate in Safety with more impact resistance than glass or mirror. Full colour matched Buffers on All Doors. All our doors are fully Custom Made. We Manufacture every sliding door on our own High Tech Computer Controlled Machinery. This ensures you get better built doors. 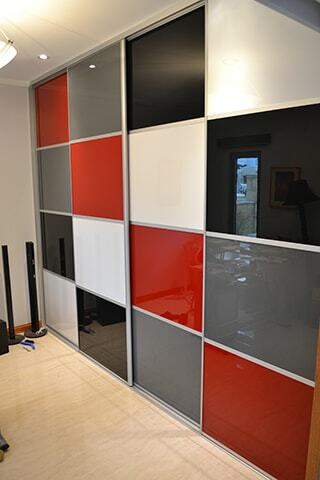 We offer two types of tracks for your Sliding Doors - Two and Three Track. Allow 86mm for the Two Track System and 126mm for a three track system. Our Premium sliding doors are built out of respect for Quality Craftsmanship, Stunning Design, Modern Styling and most importantly a lifetime of amazing use.